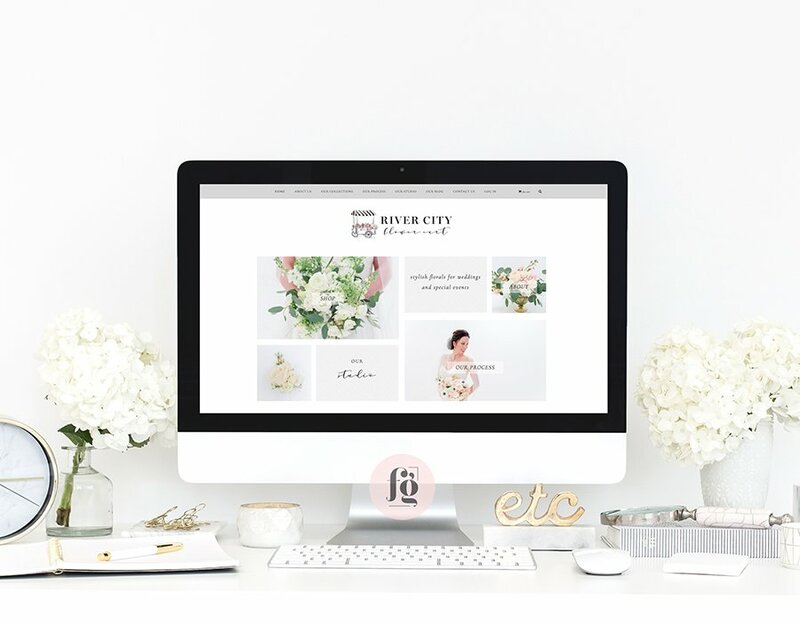 River City Flower Cart is a curated online flower boutique that streamlines the buying process for wedding and social clients. 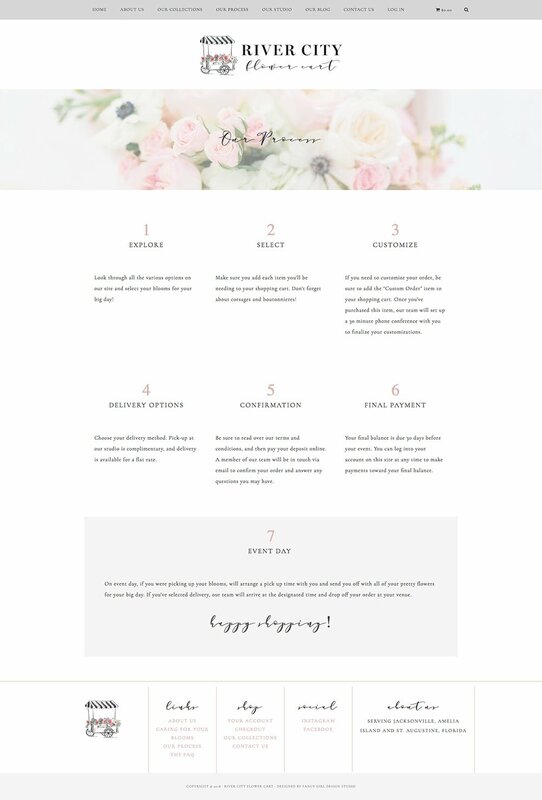 All designs are featured online, and brides can easily select and order their wedding florals from the comfort of home. Their designs are on-trend and designed with a variety of price points in mind. Their concept is perfect for the client who appreciates tasteful floral designs but may not have the budget to work with a custom floral designer. The ladies behind it, Cassandra Cherneski, Shea Hopely, and Brooke Olsen are Jacksonville-based floral designers with years of experience crafting gorgeous floral designs. I was so thrilled when they asked me to design the logo and website for this new venture. 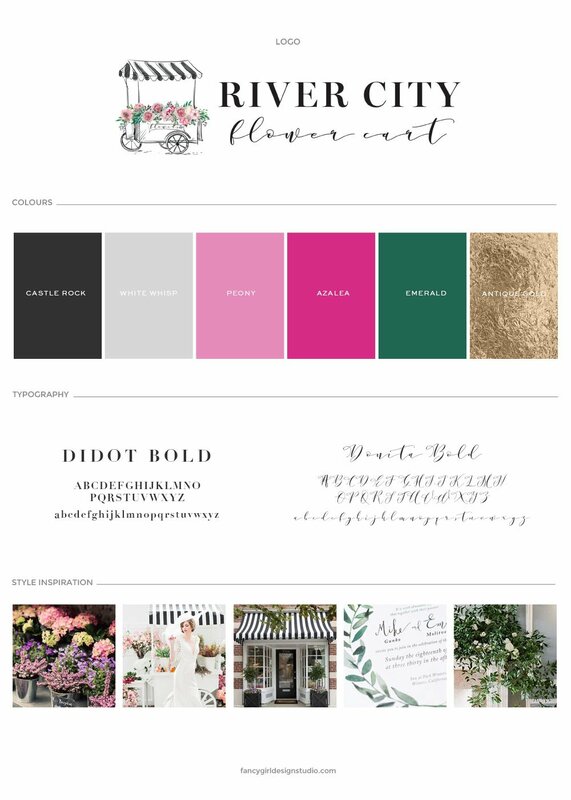 They wanted a brand that was stylish, and inspired by a French flower cart. 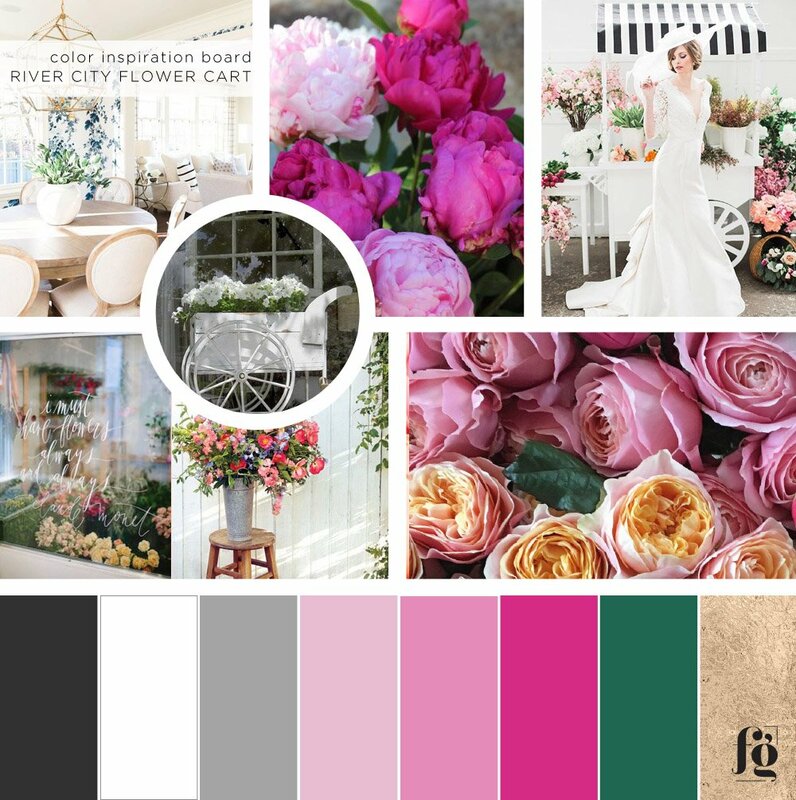 The color palette was a profusion of floral hues mixed with green – the profusion of colors found in a flower cart, to be exact! The next step was sketching out the flower cart icon for the logo, which had to be stylish and not in any way cartoony. The hand-drawn elements are paired with a calligraphic typeface, but balanced with a chic serif. The e-commerce website design carries over the same brand message as the logo, and shows off their fabulous product images. It is mobile-responsive, with lots of white space.